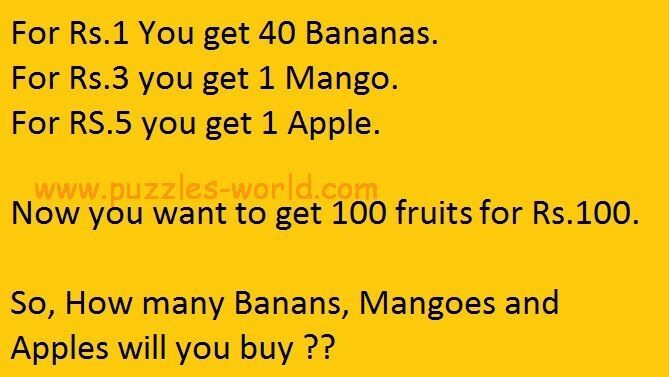 How many Bananas, Mangoes and Apples will you buy ? For Rs.1 you get 40 Bananas. For Rs.3 you get 1 Mango. For Rs.5 you get 1 Apple. Now you want to get 100 fruits for Rs.100. So, How many Bananas, Mangoes and Apples will you buy ?